The Alabama DB2 Users group was established to be a meeting place for Alabama DB2 Professionals to share, learn and enhance DB2 knowledge through personal experiences. Our goal and mission is to bring together DB2 users from all platforms; to grow and learn together in this ever expanding technological DB2 world, by presenting leading speakers from IBM, vendors and consultants in the field and sharing personal experiences to become more proficient in this ever-changing environment. 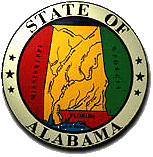 Alabama DB2 Users Group is is an affiliate of the International DB2 Users Group, (IDUG).